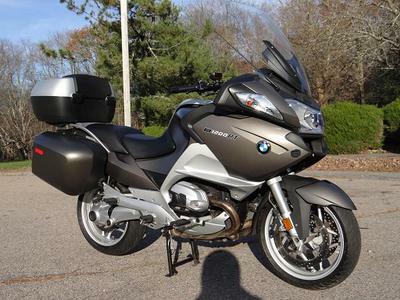 The 2011 BMW R1200RT for Sale is a single owner BMW Premium motorcycle that has 9,163 miles and is equipped with ESA, ABS, cruise control, on-board computer, electronic adjustable windshield, heated grips and seats, two 12 volt accessory outlets, and two-position height adjustable driver seat. The R1200 RT is also equipped with the optional Audio/Communications package with Multi-Controller(option costs $1,295 new) and tire pressure monitoring system ($250 option). The bike features Akrapovic slip-on muffler, a K&N air filter, the gray paint color option and a current NADA Retail value of $17,660. Anyone that has experience with this bike can use the comments form below this ad to write a review or voice any opinions that you may have on its reliability, performance, problems or where to find used BMW motorcycle parts to use in making repairs or maintenance. Thanks for visiting GoGoCycles Used Motorcycles for Sale and for your interest in the R1200 RT. 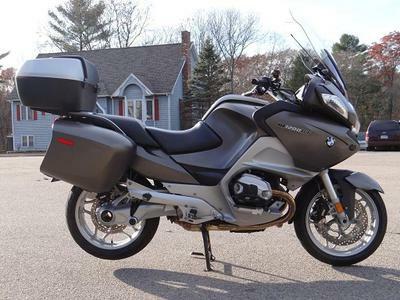 The location of the 2011 BMW R1200RT for sale is Pembroke NH NEW Hampshire (but I can ship to you for a very cheap price) and the price on it is $14,999! If you want to take a look or have questions, call me (NO EMAILS) at 603-410-four120 for more details or to request pictures and don't forget to mention that you found this ad on GoGoCycles Used Motorcycles and Parts for Sale www.gogocycles.com.